We missed everyone last week! 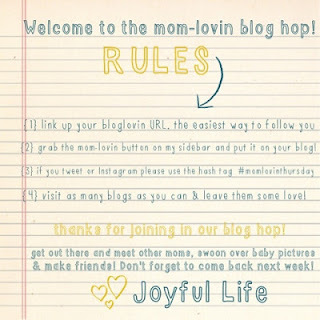 Glad to be back today with our host Hannah from Joyful Life for our 6th hop! When you hop over to Hannah's you're read that there are some changes in the works for future hops, stay tuned! Don't forget to see who Hannah featured, she's a great lady who I love to follow. Next week I'm going to start featuring a mom too so if you're linking up this week makes sure you stop by next week to see who it is! 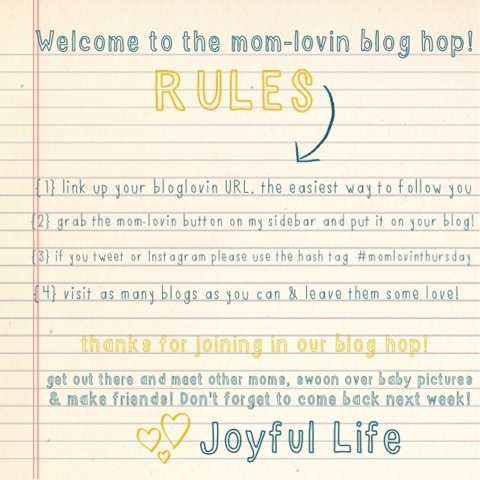 Now get ready to met some new mommy friends!